Hi everyone! 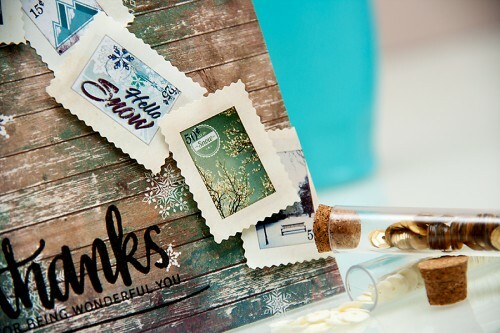 I have just received my Simon Says Stamp January Card Kit in the mail and I thought it would be fun to do a Simon Says Stamp Card Kit week sharing with you a few cards I made using supplies from the kit. 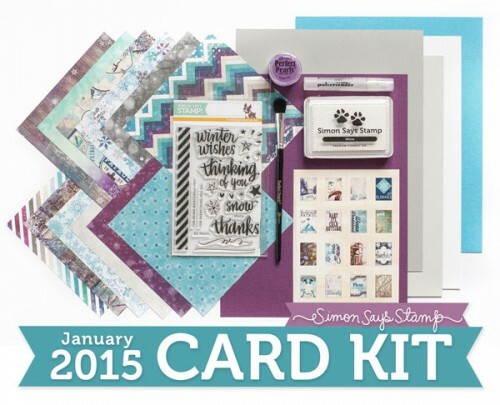 So in the next couple of days I plan to share several cards I made using the January kit. 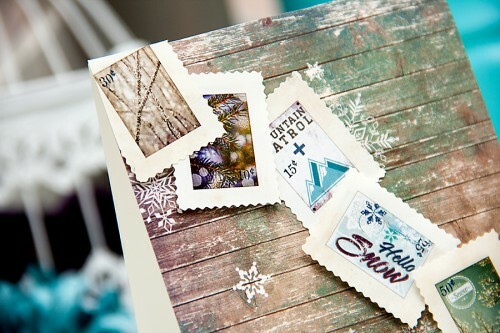 I’m hoping you’ll like this Simon Says stamp week on my blog and will feel inspired to create with your January kit from Simon! Some of my cards will have videos, but some wont. And by the way, the inspiration for this week came from Lucy, who did a similar thing in November. 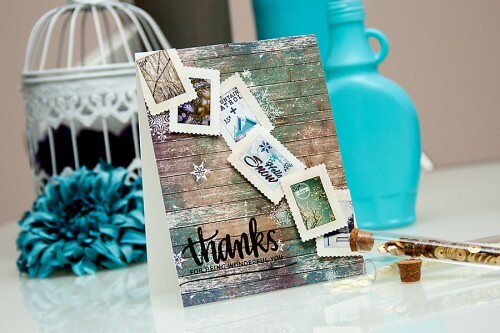 For the card I’m sharing today I started with the beautiful woodgrain patterned paper. I love the hints of blue and purple, perfect chilly winter colors. I added a bunch of stamp stickers going diagonally, I adhered a few directly onto my card and used foam adhesive for the others to create some dimension. 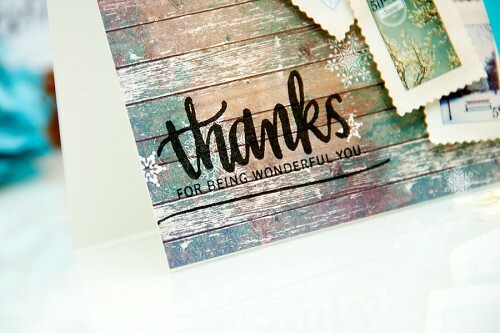 Finally I stamped Thanks for being wonderful you using black ink and finished my card. I love the BoBunny pad in this set. lovely card, Yana! looking forward to more of your cards using this kit! Very pretty design, Yana. Keep them coming!! Oh my gosh – LOVE! !